Work ‘N Leisure Products of Holliston, Mass., is recalling about 10,000 Practi-VALVE training valves. The end-cap of the valves can detach in a person’s mouth while being used during CPR training, posing a choking hazard. The firm has received three reports of the end-caps of the valves detaching from the Practi-Valve into consumers’ mouths or throats during CPR training. This recall involves Practi-VALVES that are used to practice mouth-to-mouth resuscitation/CPR. The trainee connects the blue plastic air valve to a plastic mask, places it over the dummy’s mouth and blows through the valve to fill the dummy’s lungs with air. 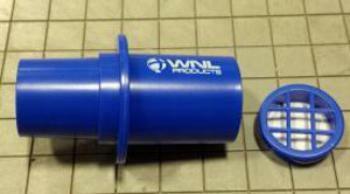 “WNL Products” is printed in white on the valves. This recall involves only valves in Lot 3197. “Lot 3197” is printed on the packaging. The valves measure 2.75 inches long by 1 inch wide and are disposable. The valves, manufactured in Chiba, were sold online at Amazon.com and wnlproducts.com and in the following catalogs: Channing Bete Company, CPR Savers & First Aid Supply, Emergency Medical Products, MCR Medical Supply, NASCO, School Health Company, School Nurse Supply and World Point ECC from July 2016, through September 2016, for about $12 for a 10 pack of valves and about $50 for a 50 pack of valves. The valves were sold separately from the mask. Consumers should immediately stop using the recalled valves and contact Work ‘N Leisure to return the valves for free replacements. Consumers may contact Work ‘N Leisure at 800-884-9629 from 9 a.m. to 5 p.m. (ET) Monday through Friday, by email at john@wnlproducts.com or online at www.wnlproducts.com and click on “Practi-VALVE Recall” at the bottom of the page for more information.